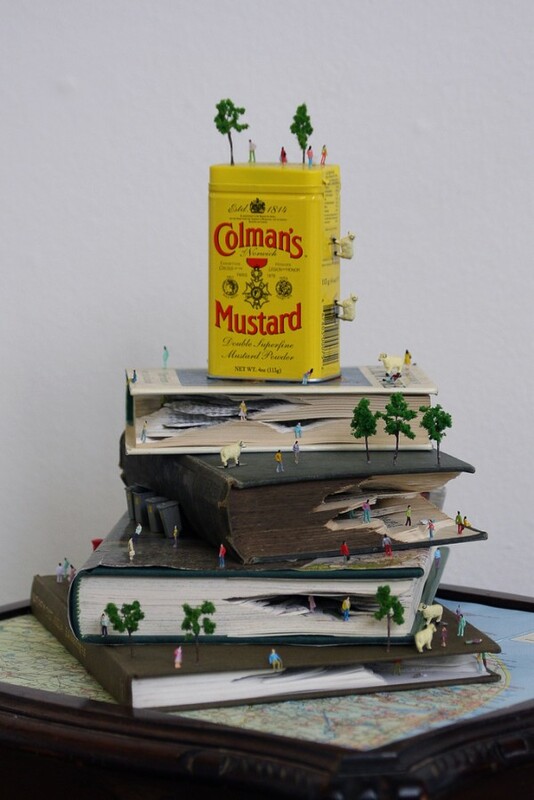 Coming across the overlap of art and sculpture, or even installation for that matter, is a most interesting and interactive display of creative power. One always finds that where different types and fields of art are fused and implemented together, altogether producing a diverse construction of art works. 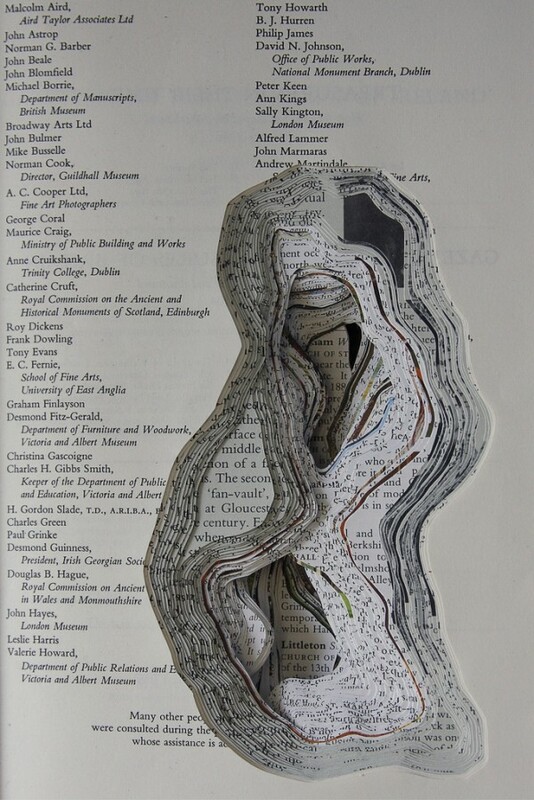 Kyle Kirkpatrick is an artist who has playfully experimented with three dimensional mediums and objects to create entirely new meaning from their forms through his work. 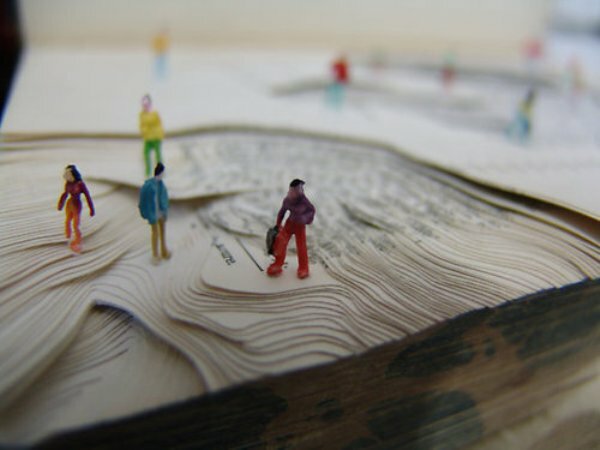 The amazing use of book and paper in articulately carved layers is the work that defines Kyle Kirkpatrick’s unique and creative style of work. 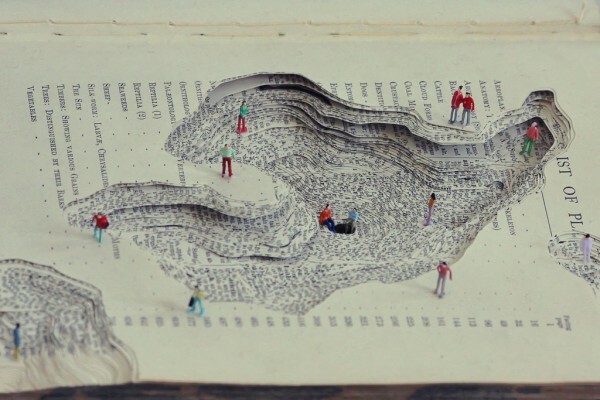 Essentially, these works of art intend to portray fictional paper landscapes out of wonderfully tiny dipramas that emply the use of already present typography printed in the books. 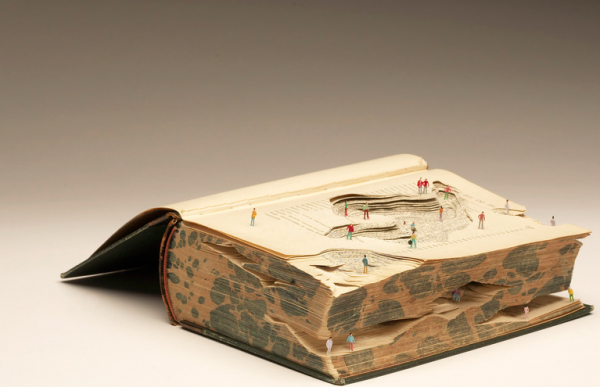 One grows up believing in the worlds of imagination that dwell and inside the universe of books; Kyle Kirkpatrick puts this theory to marvelous interpretation through his work. 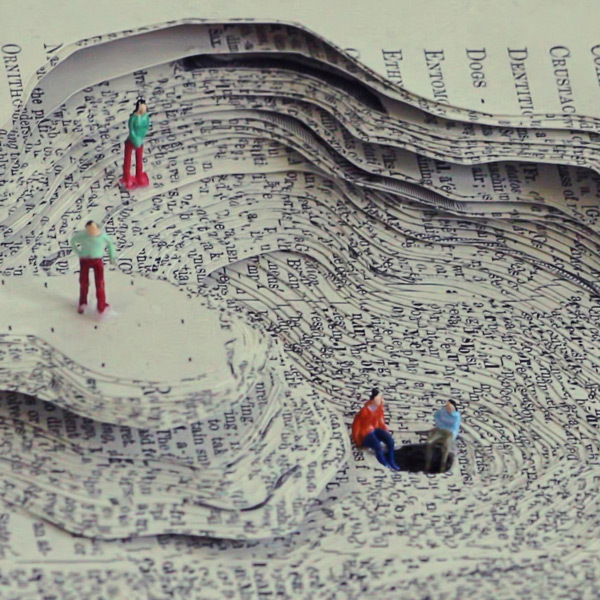 Have a look at his spectacular fictional paper landscapes carved from books with little people below. Enjoy.